For treatment of Complex Regional Pain Syndrome (CRPS), acupuncture is often our primary treatment approach. Our clinic has had excellent results with treating this painful condition. Acupuncture is a very safe and generally painless therapy, which can be highly effective in treatment of CRPS, when provided by a skilled practitioner. In our clinic we have seen very good results with acupuncture treatment for CRPS over around 8-12 sessions, with very few side-effects. We cannot speak to the success rates of acupuncture in general, only the results at our clinic. Acupuncture is a very broad, deep, and complex field of study. In general, even a very talented practitioner will need at least 7-10 years of full-time study to develop a high level of skill. Our patients with CRPS have experienced long-term relief, ranging up to a year or longer. In some cases, our patients have experienced what appears to be permanent relief from a series of 8-12 weekly sessions. We have seen also these results with a wide range of other pain conditions, including migraines, back pain, neck pain, hip pain, shoulder pain, and sciatica (a type of leg pain). Of course, each individual's case is different, and some cases require more frequent sessions over a longer period of time. Within 3 or 4 sessions, it should be very clear to you whether our treatments are helpful for your condition. You are more likely to get the best results from acupuncture by visiting a practitioner who has many years of experience treating your condition with acupuncture. In our practice, we have been able to help nearly 100% of our patients with CRPS to experience a significant reduction in their frequency and severity of symptoms. Most of our patients with CRPS have received this diagnosis from another medical provider. Early treatment tends to produce a better outcome for the patient. Alternatives to acupuncture include a range of medications which may be prescribed for pain and inflammation. Wikipedia lists amputation as a possible treatment for CRPS, although they acknowledge it is only effective in reducing pain around 50% of the time. At our clinic we have used extremely safe methods to reduce pain and promote healing, and our patients with this condition have all experienced significant improvements in function and reduction of pain. Medications used to treat CRPS may include drugs called NSAIDs, NMDA receptor antagonists, corticosteroids, opioids, and neuroleptics. Each of these are described below along with some of their known side effects. Non-steroidal anti-inflammatory drugs (NSAIDs) are over-the-counter medications such as aspirin, ibuprofen and naproxen. In many cases of CRPS, NSAIDs cannot fully control the pain level. Most people can take NSAIDs without side-effects for under a week, but significant side-effects are increasingly likely when they are taken for more than a week at a time. Side effects of NSAIDs can include stomach bleeding, allergic reactions, kidney problems, high blood pressure, strokes, and heart problems. Among people taking NSAIDS for more than 2 months, 1 person in 1200 has a side-effect from NSAIDs causing death. Every year over 100,000 people are hospitalized in the United States due to the side effects of NSAIDs, and 16,500 deaths are caused by NSAIDs in the United States. These death statistics due to NSAIDs (advil, aleve, motrin, naproxen, etc.) are mentioned on webmd.com. NSAIDs can also cause a rare, life-threatening condition called Stevens-Johnson Syndrome or Toxic Epidermal Necrolysis (which has around a 30% fatality rate). This is a rare condition (also called erythema multiforme major) in which the skin blisters and falls off the whole body. Other medications can cause this as well. More information about this condition is found at wikipedia and at the NIH website. In small print, the NIH article mentions that this condition has a high death rate and may require skin grafting if a large portion of the body is affected. Gabapentin (neurontin), pregabilin, nortriptyline, duloxetine, and amitryptaline are called neuroleptics, and these may also be prescribed for CRPS. Many people take these medications for years without serious side effects. Common side-effects include dizziness, and dry mouth. Rare and serious side-effects of these medications include intestinal bleeding, liver damage, and increased risk of suicide. If you are taking prescription medications, be sure to talk to your doctor before making any changes. Some medications need to be reduced slowly. Neurontin and amitryptaline can also cause a life-threatening reaction in approximately 0.2-0.5 % of patients (between 2 and 5 out of every 1000 patients) called neuroleptic malignant syndrome. This syndrome begins with symptoms of fever, muscle stiffness, severe confusion, sweating, and fast/irregular heartbeat, and is fatal in around 10% of cases. If the reaction is not fatal, it can cause temporary or permanent memory damage. Males under age 40 are at the highest risk of developing this condition in response to neurontin and amitryptaline. Another class of drugs used for CRPS is opioid drugs, which include oxycontin, morphine, hydrocodone, fentanyl, and vicodin. Common side-effects include sedation, dizziness, nausea, vomiting, constipation, physical dependence (addiction), tolerance, and respiratory depression. Opioid medications caused 475,000 emergency room visits in 2009, and caused at least 16,000 deaths in 2012 (more deaths than heroin and cocaine combined). Nearly three out of four prescription drug overdoses are caused by these opioid pain relievers. In the United States, there has been a 300% increase in opioid prescriptions since 1999. These U.S. death statistics due to opioid pain relievers are mentioned at the CDC website. Drugs known as NMDA receptor antagonists may also be used to treat CRPS. These include dextromethorphan and ketamine. Ketamine is a dissociative anesthetic and barbiturate similar in action to the illegal drug PCP. Side-effects of ketamine include dream-like feeling, double vision, jerky muscle movements, dizziness, drowsiness, nausea, vomiting, loss of appetite, and sleep problems (insomnia). Especially in the early stages of CRPS, your doctor may recommend corticosteroids such as prednisone and methylprednisone. These can help decrease the swelling and allow the tissue to heal. Frequent use of corticosteroids can cause significant short-term and long-term side effects, such as bone loss, skin atrophy, tendon rupture, weight gain, acne, elevated blood pressure, elevated blood sugar in diabetics, and reduced ability to fight infections. Frequent use of cortisone can cause cataracts and in some cases, even the death of bone tissue in the large joints (avascular necrosis). 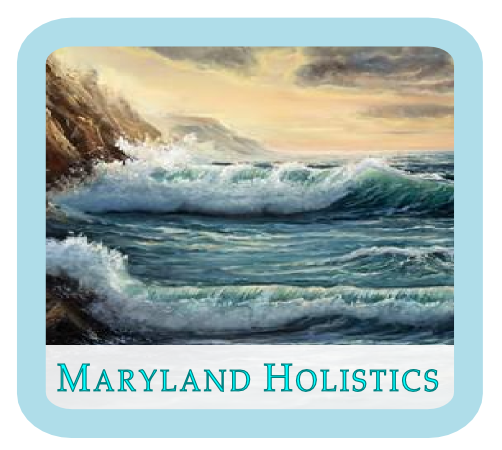 Maryland Holistics provides specialized acupuncture therapies which can reduce CRPS symptoms significantly within 8-12 sessions. In the hands of an experienced practitioner, acupuncture can often provide excellent relief for CRPS within around 8-12 sessions, and without any of the side-effects which are mentioned above. Acupuncture helps the body's natural healing response to become activated, and patients often feel more well-rested and relaxed after sessions. Acupuncture has also been shown to strengthen the immune system, improve blood sugar control, and reduce blood pressure in people with hypertension. Most health insurance companies recognize the value of acupuncture for pain-relief, and usually cover acupuncture for this purpose.